Want to visit the Caribbean without breaking the bank? 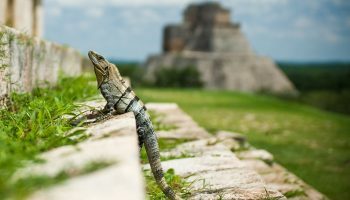 If you dream of soaking up Caribbean sunshine on a white-sand beach with a tropical cocktail in hand but are put off by the luxury hotel prices, then this article is for you. 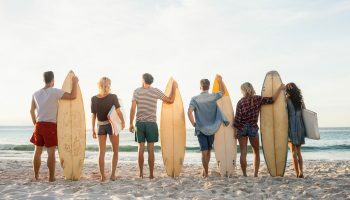 While you can definitely rent your own island or kick back at a five-star resort, you don’t need to be rich to enjoy the postcard-perfect beaches of the Caribbean. Thanks to Airbnb, you can stay in quaint cottages and beachfront villas and enjoy a once-in-a-lifetime Caribbean vacation without the hefty price tag. Need some ideas? 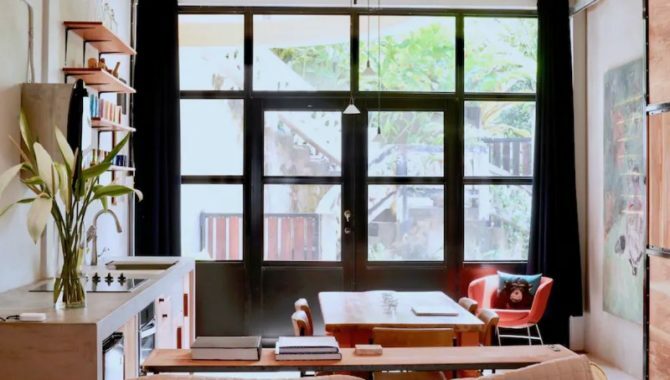 We’ve scoured Airbnb and found the top-rated rentals available, stretching from Jamaica and the Dominican Republic all the way to Barbados and Aruba—each for less than $100 per night. This one-bedroom apartment in San Juan is great for independent travelers, located just blocks away from beautiful Ocean Park Beach. Stretch out on your queen-size bed and enjoy in-room perks like air-conditioning, a kitchenette, beach towels and an insulated cooler bag. 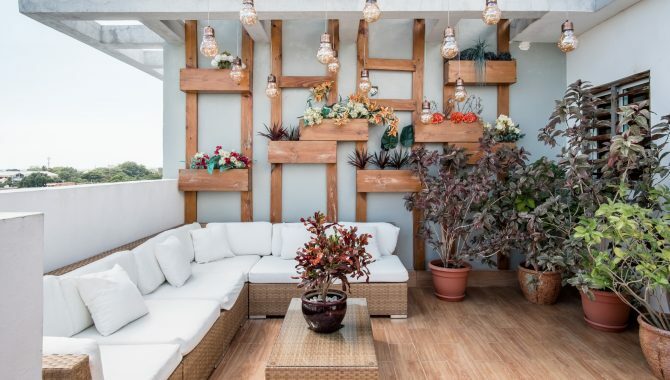 Take a nap in a hammock in the tropical garden, cool off in the outdoor shower or venture along the blue cobblestone streets of Old San Juan to admire its colorful facades and sample authentic Puerto Rican dishes. Rent a car to see some of Puerto Rico’s top-rated attractions, including the 500-year-old Castillo San Cristobal and El Yunque Rainforest. Located in Los Jardines del Sur, a quiet neighborhood in Santo Domingo, this inviting one-bedroom apartment has a prime location. You’ll find easy access to nearby Mirador Sur Park as well as Guaguaa Airport just a 30-minute drive away. Explore popular sites within the UNESCO-listed Zona Colonial, like Parque Colon, Catedral Primada de America and National Patheon, then retreat back to the Airbnb rental for some relaxation. Enjoy unique on-site amenities like a rooftop terrace with a suspended swinging chair as well as HD TV, a queen-size bed and kitchenette. 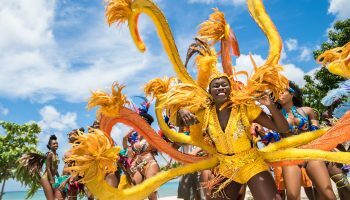 An often overlooked Caribbean destination, Bonaire is great for a budget-friendly family getaway. 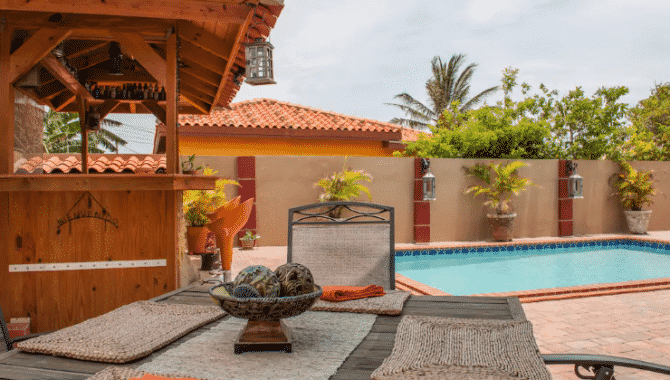 This charming cottage has everything you need for a memorable stay, including stunning Caribbean Sea views, subtropical garden surroundings and a private Jacuzzi. You’re only a two-minute walk to one of the best snorkeling and diving spots in Bonaire and the hosts will even arrange a sailing trip around the island. Stroll the charming streets of Kralendijk to find enticing waterfront eateries, pick up souvenirs in small shops along the main street or visit Terramar Museum to learn more about the island’s history. Located in Curaçao, this cozy one-bedroom apartment boasts cheerful island-style decor, a double-size bed, complimentary WiFi and a TV. Hang out in the hammock on the outside garden terrace or whip up breakfast in your fully-equipped kitchen before venturing out for the day. You’re only a five-minute walk from the UNESCO-listed city center of Willemstad with its historical waterfront street that features a row of colorful colonial Dutch houses. 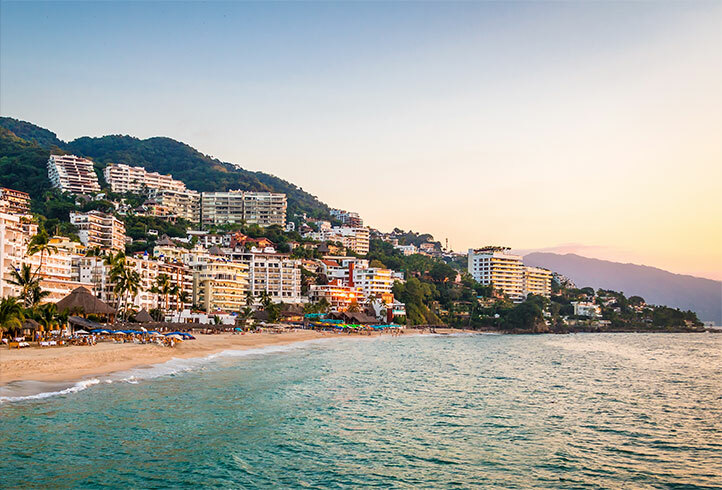 Ringed by picture-perfect beaches and hidden coves like Playa Lagun, you’re also near Emma Bridge and the harbor, while public transportation nearby connects you to other parts of the island. 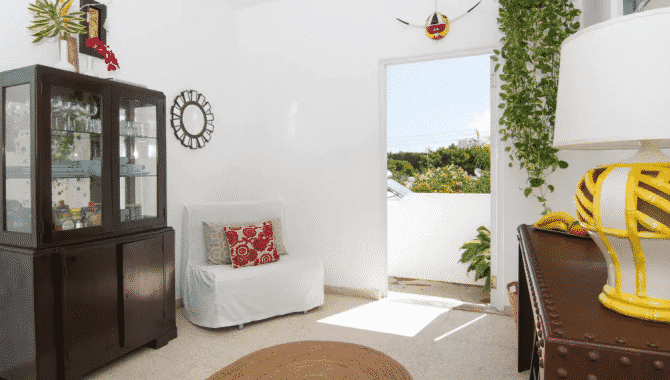 Located in Noord, Aruba, this studio apartment can fit up to four guests. Take a dip in the private pool, then grill your own dinner on the barbecue before enjoying a meal at the dining table outside. 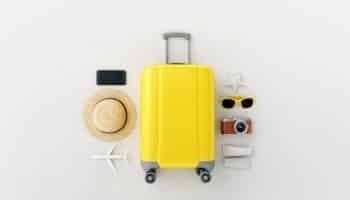 Other amenities include cable TV, a split unit air conditioner, hot shower and a beach kit with folding chairs, ice cooler and towels. 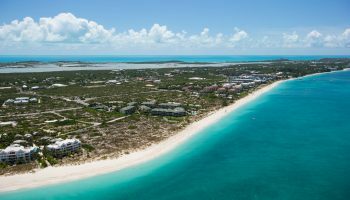 Some of the best beaches in Aruba are just 1.5 miles away, including Eagle Beach and Palm Beach, while the downtown area is just a short drive away. Make sure to see the famous Natural Pool in Arikok National Park or try your luck at Stellaris Casino in Aruba Mariott Resort nearby. You can truly get away from it all at this alluring property in Martinique, located just 15 minutes from the downtown area in Le Robert. Its biggest highlight is certainly the views, with the bay of Le Robert seemingly at your fingertips. 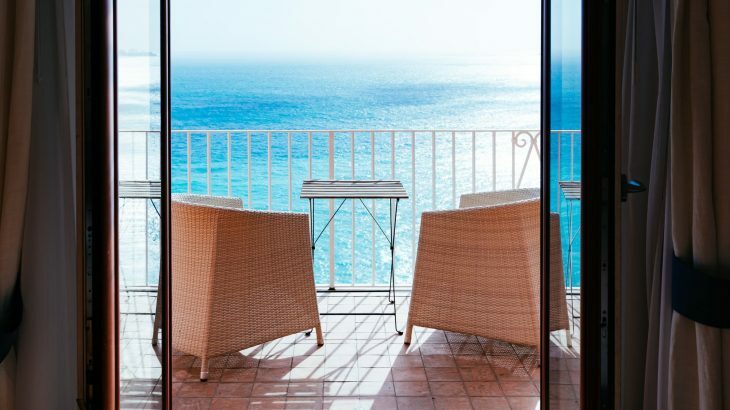 Start your day enjoying breakfast on the balcony or lounge with a cocktail in the hammock, then take a day trip to the stunning beaches around Sainte-Anne, hike up Mount Pelee or indulge in refined French cuisine in Fort-de-France. You can even go on an excursion around the islets, departing from a pontoon boat at the house. You’ll feel like you’ve discovered paradise at this Airbnb, surrounded by spectacular sea views and untouched nature in Barbados. The two-bedroom cottage has an open-plan layout with a spacious deck, which features a dining table and hammocks for admiring the view. The best part about it? It’s nestled between two of the most stunning beaches in Barbados, Bathsheba and Martin’s Bay. Get a dose of local life at this residential area and enjoy on-site perks like WiFi, a washer and dryer, standalone tub and kitchen. If you’re looking for an adventure, your host can organize a rental four-wheel drive Jeep so you can explore the coastline, stopping at Dover Beach, Carlisle Bay and Harrison’s Cave. 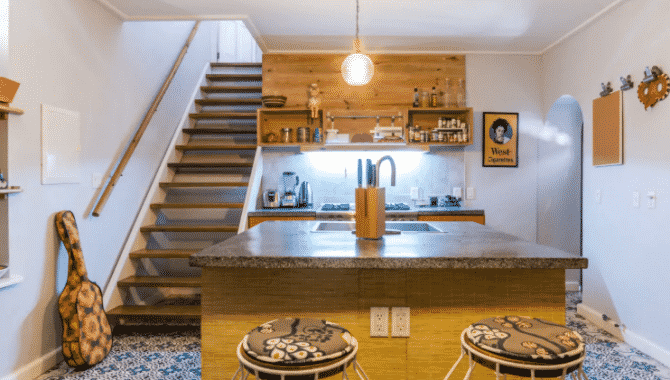 Located at the base of El Tucuche in the heart of the Maracas Valley, the host of this studio apartment claims this spot is perfect for hikers, eco-tourists and bird enthusiasts. The newly-built apartment offers a large kitchen, dining and living space ideal for groups and families, and has a comfy mattress with a quality topper so you sleep peacefully. Traveling with the kids? There’s even a PS4 and projector system with Netflix as well as a sofa bed the size of a double mattress. Hikers can venture to Maracas Waterfalls or the more challenging El Tucuche peak, while the Yerette Hummingbird watch is also nearby. Nestled on a quiet residential street in Ocean Park, this two-bedroom apartment in San Juan is a short walk to Puerto Rico’s beautiful beaches and nearby shops, restaurants and bars. 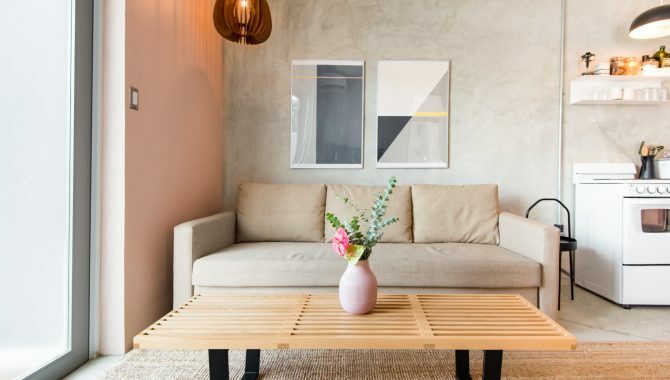 Less than a 10-minute drive from Luis Muñoz Marín International Airport, this cozy retreat features large French doors that open up to private terraces with hammocks. Enjoy its home-like amenities, like a full kitchen, washer and dryer, coffee maker and lounge in the beautifully decorated living room with a comfy couch and flat-screen TV. When hunger strikes, walk over to The Dreamcatcher for their famous Breakfast & Brunch with organic dishes made by local chefs. 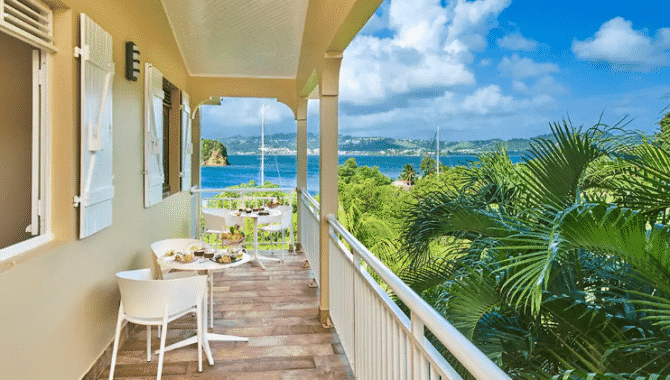 The first thing you’ll notice at this apartment is the postcard-perfect views, as its located in the Bellevue/Frenchman’s Bay Area in St. Thomas. It boasts an array of modern amenities, including air-conditioning, a SmartTV and WiFi, while a king-size bed, dining table for two and mini fridge make it the perfect home away from home. 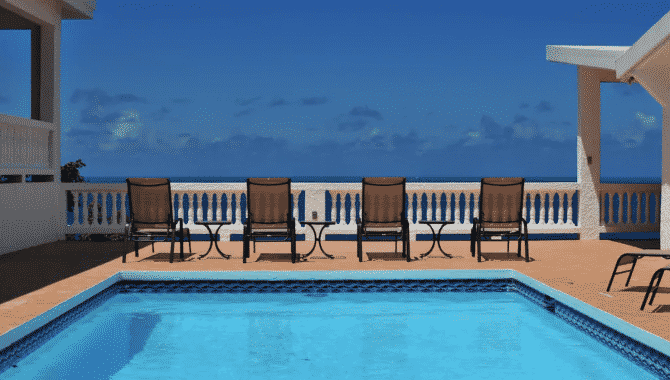 Just upstairs is a shared pool and deck, which offer spectacular ocean views, while many of the St. Thomas’ best beaches, restaurants with a view, beach bars and duty-free shopping are just minutes away by car. Take a five-minute walk to Marriott Frenchman’s Cove to enjoy a cocktail at the bar overlooking Pacquereau Bay. 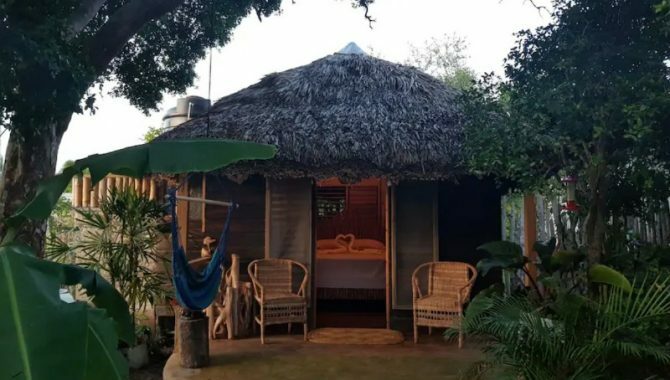 You can listen to the sounds of the ocean from this cozy cabin, just a two-minute walk from Jamaica’s gorgeous Treasure Beach. The rustic-style accommodation features all the essentials, including a hammock, hot water and WiFi, and was lovingly built by the owner himself. Pick up cold Red Stripe at one of the shops nearby, indulge in freshly-caught fish at a local restaurant or arrange a trip to the famous Floyd’s Pelican Bar, arguably one of the coolest bars in the world. Craving an outdoor adventure? Take a day trip to see the seven cascading waterfalls at YS Falls or spot local wildlife on Black River. 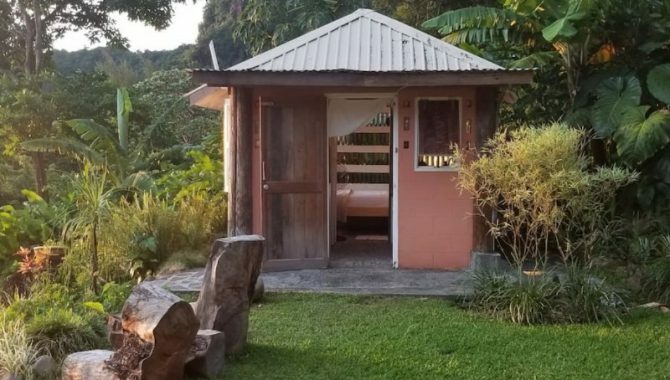 If you love being surrounded by untouched nature, book this tiny house in Saint Vincent and the Grenadines. 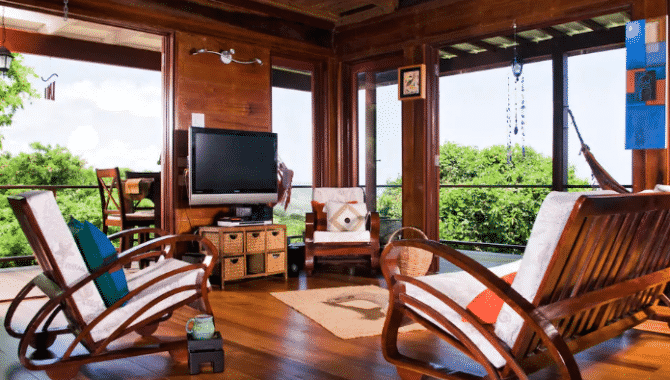 Immersed on the edge of a rainforest above the sea, you’ll be treated to a mini fridge, double-size bed, spring water on tap as well as a private garden with a picnic table, hammock and sweeping views of the island. 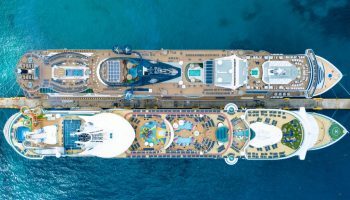 You can even pre-book groceries, a yoga class or a massage. 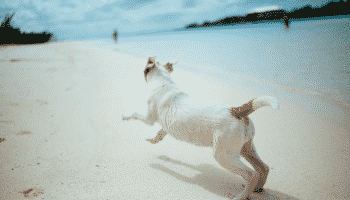 Need to stretch your legs? Go on a scenic hike to Table Rock or follow the Vermont Nature Trail, while there’s a white-sand beach just a 15-minute drive away. If you’re looking to splurge, sign up for a full-day excursion to Tobago Cays Marine Park.